Published By Goldstein & Stamm, P.A. by Goldstein & Stamm, P.A. Every breath test in Maryland is subject to suppression. Every administrative suspension based on a failed breath test should be thrown out. The reason is – in Maryland there is a potential 60 day enhanced jail penalty for every driver arrested for DUI who refuses to take a breath test. The question is – can the State put someone in jail for refusing to consent to a search of their body? Can the State make it a crime, or a sentencing enhancement to refuse to consent to a warrantless search? And if they cannot, can they comply with due process when they use the threat of jail to induce the person to consent to a breath test? The answer to these three questions should be NO. There is a conflict among courts on the issue of whether a State can criminalize refusal to submit to an alcohol test. If it cannot, then any consent obtained by advising a suspect that refusal is a crime carrying a potential penalty of incarceration is coerced and involuntary as a matter of law. In Maryland, the DR-15 advice used to obtain consent gives this questionable advice. This is an important issue currently because on December 11, 2015, the Supreme Court granted certiorari in three cases that raised this issue: Birchfield v. North Dakota, 136 S.Ct. 614 (2015); Bernard v. Minnesota, 136 S.Ct. 615 (2015); and Beylund v. Levi, 136 S.Ct. 614 (2015). These cases will be argued in the Supreme Court on April 20, 2016. 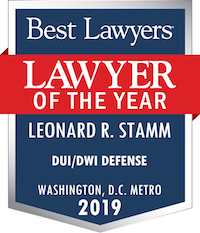 Leonard R. Stamm, along with Donald Ramsell and Jeff Green, co-authored an amicus brief filed on behalf of the National College for DUI Defense and the National Association of Criminal Defense Lawyers, in these three cases on February 11, 2016. In November, 2015, the Hawaii Supreme Court ruled that its statute criminalizing refusal was unconstitutional and that consent obtained to submit to a breath test was involuntary. State v. Won, 361 P.3d 1195 (Haw. 2015). In February, 2016, the Kansas Supreme Court held its criminal refusal statute to be unconstitutional in violation of the federal and state due process clauses. State v. Ryce, — P.3d. —, 2016 WL 756686 (Kan. 2016). Because the consent obtained in every breath test case is coerced and is not voluntary, every breath test should be suppressed. Because it violates due process to misadvise a person about the penalty for refusing a test, persons who fail a breath test in Maryland should not have their driver’s licenses or privileges suspended. 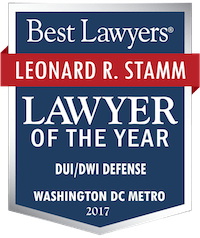 If you are facing criminal or traffic charges in Maryland state or federal court, call Leonard R. Stamm of Goldstein & Stamm, P.A. at 301-345-0122 for a free consultation. Copyright © 2019, Goldstein & Stamm, P.A.